Unlock Samsung I9295 Galaxy S4 Active - Safe IMEI Unlocking Codes for You! Unlock Samsung I9295 Galaxy S4 Active Handset! In case your I9295 Galaxy S4 Active doesn't ask for the code and there is no designated field to enter it, please DON'T PLACE ANY ORDER, contact us first for support. 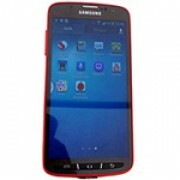 Looking to unlock your Samsung I9295 Galaxy S4 Active smartphone? Do it today and enjoy using it worldwide with any SIM Card! Easy and fast process! The codes we provide works for the latest models, like Galaxy s III, Galaxy S IV, Galaxy Mega, Note 3, Galaxy Tab 3 and more! Check out here All our list! We are able to unlock the most GSM Carriers including O2, At&t, T-Mobile, Rogers, Fido, Bell, Telus, Vodafone, Orange and many more. We use the same method Networks and Carriers use to unlock your device and charge you $50 or more! 2. Select the original country and network and – not the one you wish to use after the unlock process! We are sorry, but we will not be able to make any refunds to you if you place a wrong order by not fulfilling the requirements mentioned above! The reason is because we support the cost for each IMEI we try to unlock! How to Unlock Samsung I9295 Galaxy S4 Active Phone - Tutorial! Find bellow the steps you need to follow in order to unlock your Samsung Galaxy S4 Active I9295 handset. The IMEI, he country and network where your phone is SIM locked and our email address where you want to receive the code! 3. You will receive on your email the code and all the instructions you need. All you need to do is to insert another SIM card and wait for your phone to read “Enter unlock code” or “Pin Network Unlock Code”. Then insert the code and your phone will be unlocked. unlock my handset from Austria Vodafone. I need help to unlock my Samsung I9295 Galaxy S4 Active from Polnd Era.